Winter is the perfect time to get outside with your corporate or adult group for some team building fun and games. 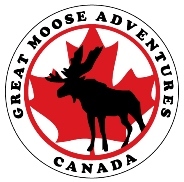 Don't let the winter blues take hold of your team - come to Great Moose Adventures for tailored events which suit all fitness levels and abilities and keep spirits high in this beautiful season! Catering options are also available for all of our events.